The Salomon QST Lux 92 is an excellent ski for the intermediate to advanced skier who wants a lightweight ski, with plenty of versatility. Salomon's C/FX 3 adds a powerful reinforcement of carbon and flax while keeping the ski as light as a feather. A Koroyd Tip reduces the weight in the tip to offer better floatation and easier maneuvering. All-Terrain Rocker 2.0 keeps you floating and makes carving turns on the frontside of the mountain effortless. A Ti Power Platform sits just under the area where the bindings are mounted to give you a little bit of rigidity when you are really moving down the mountain or conditions get firm. A Pulse Pad is made from vibration dampening elastomers to absorb vibrations to give you one smooth ride at any speed or in any condition. 2019 Salomon QST Lux 92 Ski Review by Jessi. 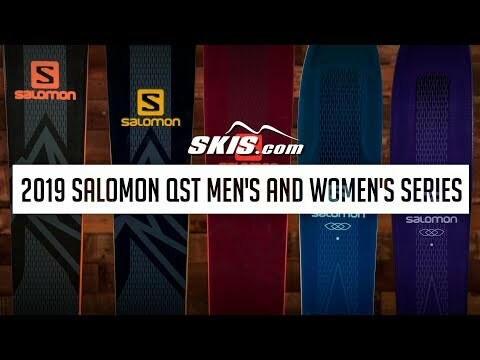 2019 Salomon QST Lux 92 Ski Review by Whitney . 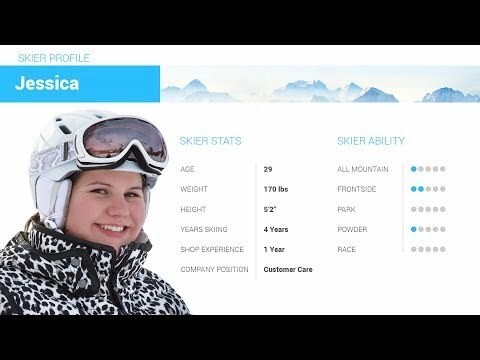 2019 Salomon QST Lux 92 Ski Review by Jessica.